Bob Weir and Phil Lesh, two of the founding members of the Grateful Dead, will tour together as a duo performing back to back sets of both acoustic and electric versions of Grateful Dead classics for the first time ever. 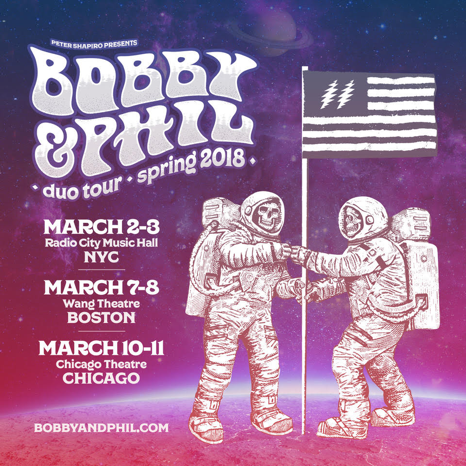 The pair will play select U.S. markets including New York City, Boston and Chicago as part of the Bobby and Phil Tour, beginning March 2 and 3 at Radio City Music Hall. Tickets have sold quickly but you may be able to find them here and here. 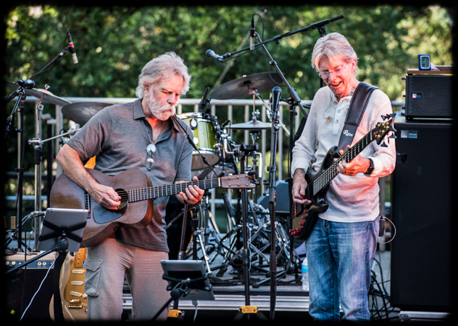 While these two music legends have played together since the inception of the Grateful Dead in 1965, they have appeared jointly infrequently since 2015’s Fare Thee Well shows, where they played for the last time with all four surviving members of the Dead. They have never performed as a duo without a backing band. This new project, according to a press release, came about as Weir and Lesh celebrated the 40-year anniversary of the Grateful Dead’s 1977 studio album Terrapin Station. The two performed at Lesh’s own Terrapin Crossroads, as well as Lockn’ Festival and Sound Summit on Mount Tamalpais north of San Francisco earlier this year. Fans can expect to hear Grateful Dead favorites as well as additional musical surprises. NYC-based independent promoter Peter Shapiro will present the shows and has collaborated with Lesh and Weir for the past 20 years at his Capitol Theatre and Brooklyn Bowl venues, his own LOCKN’ Festival, and the 2015 Fare Thee Well shows. For tickets for Phil Lesh dates minus Weir, go here. Actually, Weir and Lesh have indeed played strictly duo before an audience right before the inception of Furthur. I have many recordings of it. Have they ever done an actual tour together as just the two of them? Not talking about local gigs or dropping in on someone’s set but a full-blown tour? That’s what the article is about.